Susan Hill—the Man Booker Prize nominee and winner of the Whitbread, Somerset Maugham, and John Llewellyn Rhys awards—returns with a gripping mystery “eagerly awaited by all aficionados” (P. D. James). The particularly unpleasant murder of a very old woman in a housing project rocks the town of Lafferton. The murderer has left a distinctive “sign” on the body and at the scene of the crime. A couple of weeks later, a similar murder occurs, and a month or so later, so does another. Initial investigations reveal that the mysterious “sign” was the calling card of a suspect who was charged with several murders in the northwest of the country, tried but acquitted on the grounds of insufficient evidence. All indications suggest that this person has simply vanished—or is he right under their noses? 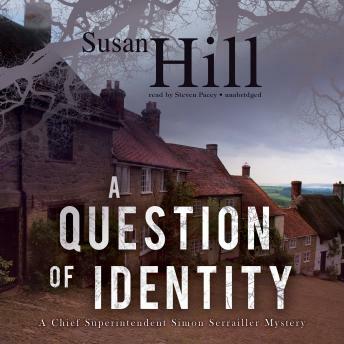 Simon Serrailler is obliged to delve deeper and scratch out answers in this addictive mystery of surpassing darkness by the bestselling Susan Hill.